I’m Jack Brookes, a 22 year old university student who continually leaves all uni assignments to the last minute because I’ve been outside, exploring, camping and shooting photos. I was born in Adelaide, but grew up on the Central Coast, New South Wales and Mt Gambier, South Australia before moving out of home and back to Adelaide to begin studying journalism at university. 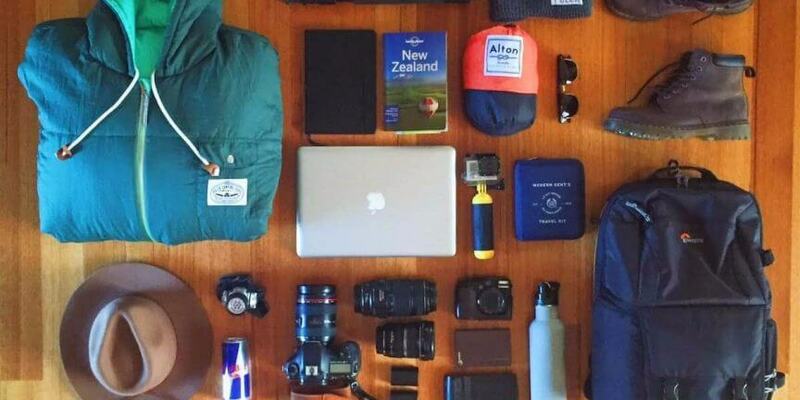 While studying, I work in Field Marketing at Red Bull as a Student Brand Manager and whenever I get the chance I try to get on a road trip with mates to explore and take photos. Graduating at the end of the year, I’m constantly thinking of what the future will hold, hopefully I can pick up some more photography as I’d love to be travelling, shooting and meeting new and interesting people. Jack and his buddy Jacob flew out to New Zealand from the Adelaides to spend an unplanned month of adventure living out of a van. 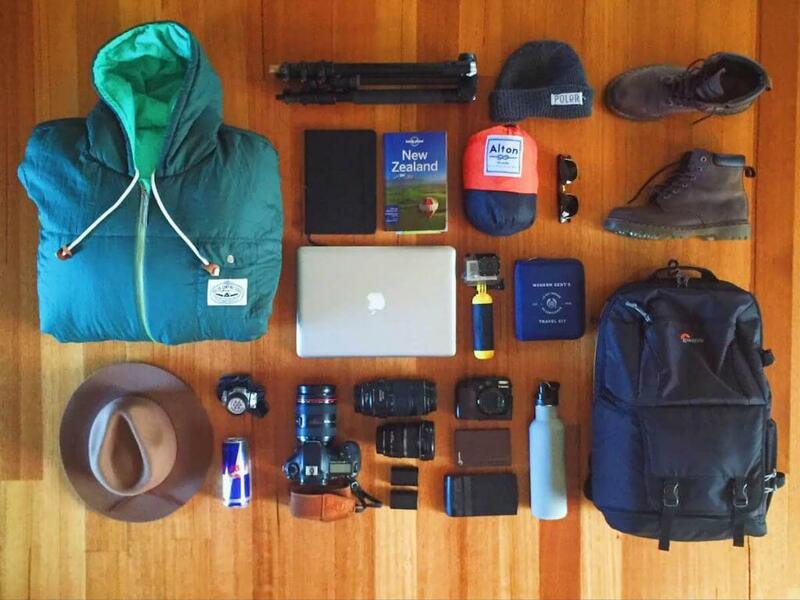 The essentials below are the only items that Jack brought along on his trip. How was your month long trip to New Zealand? You said that there was nothing planned beforehand, what were some of the incredible things that you guys did? The month in New Zealand was incredible. Heading over there all we had planned was to pick up a van in Auckland on arrival and be on plane out of Queenstown a month later. We just jumped in and hit the road, making our way south through the two islands. We saw some incredible scenes along the way. If I had to single out a highlight it would be being on top of Roy’s Peak. We began the eight kilometre upwards trek at 3:30am and after almost three hours of struggling in the dark and realizing how poor my fitness is, we were able to watch the sunrise over Lake Wanaka and Mt. Cook. A must do if you’re ever nearby. On top of that, sky diving, white water rafting and just living on the road, are just some of the epic experiences we had. Do you have any advice for anyone who is currently reading this? Get outside! I have done close to no international travel but to explore, adventure and have an epic time doesn’t mean you need you have to save big bucks and jump on a plane to the other side of the world. Yeah, that is incredible, but consider getting outside in your own backyard. There’s more rad experiences out there than you think and you definitely can’t experience them from the couch. Big thanks to Jack for taking part in the Q & A and telling us about his month long journey. I would highly recommend that you guys check out some of Jack’s work and follow his new adventures with the links below!